Volunteering to work on an environmental or conservation project not only allows you to put something back into the environment that’s long lasting and which will enable generations to come to enjoy the fruits of your labours but for many people the opportunity to work outdoors in a practical hands-on type of role where you’re often getting your hands dirty whilst enjoying the fresh air is far more appealing than working in a 9 to 5 office environment. It’s also a chance to work together as a team where everyone will often have a specific task to do but ultimately, you will all be working towards a common goal. What Kind of Work Is There In These Areas? Conservation and environmental projects cover a broad range of issues and there will be programs within your local area as well as initiatives in more ‘exotic’ locations. Conservation can often centre around animal habitat and preservation of the species. As many species often live in very fragile eco-systems, some species become extinct every year as things like the rainforests become increasingly smaller and some volunteers are drawn to adding their efforts to preserve these natural environments which not only provide a shelter and a source of food for wildlife but are, in themselves, areas of intrinsic beauty. Then there are roles within animal rehabilitation centres which often focus on specific species such as lions, elephants, dolphins, monkeys, gorillas or pandas to name but a few. The work could include helping to rehabilitate sick or injured animals, hand rearing young animals that have been orphaned or abandoned by their mother before reintroducing them into the wild, the maintenance of wildlife centres, electronically tagging wild animals and gathering data about them, educating local people about why conservation is important and many other things besides. 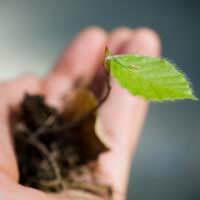 Environmental projects might include maintaining hiking trails, working on archaeological digs, planting trees, creating a flower garden or carrying out research into things like land erosion and the impact of tourism and, once again, these are a just some of the projects you might consider getting involved in. Because of the wide scope of projects that could fall under the umbrella of environmental and conservation work, qualifications will be required for some of the more specialist roles but organisations that operate in these areas are always crying out for volunteers and even if you have no qualifications at all, there are many organisations in the UK, as well as overseas, who will be only to willing to consider you for a voluntary position. The primary qualities you will need is a love and respect for wildlife and the natural environment and an ability to meet the physical demands of much of this type of work as the vast majority of roles will be carried out outdoors and in all weathers and will also involve getting your hands dirty. So, if you’re unsure about hard physical graft, it may not be something that you’re best suited to. You need to be prepared to get scratched and, even perhaps, bitten occasionally by an animal and be in good physical shape if you’re out mending fences and repairing trails etc. And, although the work can seem very interesting and rewarding when you’re watching TV programs about such projects, much of it can be repetitive and quite tedious so it’s important to do your research first and find out more about the specific role you have in mind and what exactly it entails on a day to day basis. For those who do embark upon a volunteer job within environmental or conservation projects, the benefits can be some of the most rewarding in any kind of voluntary work that you could undertake. Working close to nature and in the outdoors can have positive mental benefits and you’ll see at close hand the positive impact your work will have. It may be a nature trail that you’ve helped to build or the release of some lion cubs back into the wild – whatever project you’re involved with, the work you do will have a positive and lasting impact not just upon you but you’ll be helping to preserve or create a legacy which can be enjoyed by others for years to come. It may also open doors to a career or further education in an environmental or conservation capacity. For example, you might want to pursue a job as park ranger or zoo keeper, perhaps. Dipping your toe in the water first to see if this is the right kind of voluntary role for you couldn’t be easier. Your local council will be responsible for nature trails and similar programs in your area and they will often need voluntary help for things like trail maintenance, the cleaning up of ponds and rivers etc. And, for those looking to see what might be available further both at home and overseas, the BTCV (British Trust for Conservation Volunteers) has its own website and is a good place to start your research.